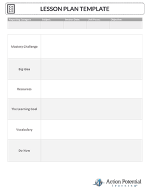 CFU Planning Outline- Use this check for understanding outline to help ensure your check for understanding methods and assessments are aligned with the learning goal and day’s content. 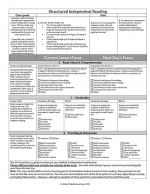 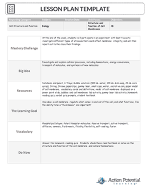 Lesson Plan Template- Use this template to help plan classroom lessons. 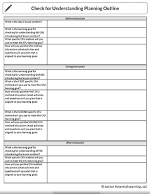 Lesson Plan Template Sample- Read this sample lesson plan to better understand the components of an effective lesson.